Claytabase provide a full web site design and development service (design, build and hosting), focused on speed, usability and content, which should lead to higher conversion rates and more engagement. Clients who have switched to us have seen rapid promotion through Search Engine Results Pages based on these principles. You have probably landed here because you were searching for a web designer in The Isle of Wight. We firmly believe that we can offer the best value service on the Island. Building web sites is more than just a job for us, it is also a passion. We are constantly developing our own Content Management System to squeeze even more features and speed from it. Every client who has transferred to us has had a significant increase in their search engine rankings by having one of the fastest Content Management Systems available, and advanced Search Engine Optimisation features built into the heart of their site. With an effective mobile first design strategy your site will please visitors across all devices. With over 50% of searches now being made on smart phones and tablets, the need for optimised sites has never been greater. All of our sites are designed in mobile friendly format, while still being good to look at and functional. We also ensure that as many best practices are followed surrounding accessibility for blind users and printing where needed. Aspire 2 Garden Design’s work mainly came from recommendations. Their old web site was outdated and in recent years attracted only a small percentage of their business. They wanted to update their site to appeal to a new market. After only two months business has more than doubled with my new web site, with enquiries pouring in. Thank you, Claytabase. Having you build and host my new site was a great decision, I am really delighted with it. Page speed is also important to user experience, pages with a longer load time tend to have higher bounce rates and lower average time on page, some estimates say there is up to 1% loss for every 100ms delay in page load time. Longer load times have also been shown to negatively affect conversions. Claytabase web sites can be proven to be on average three times faster than most of our competitors. Pen-Y-Bryn were struggling to work out why they had very few referrals via their website. We are very pleased with the service we have received from Claytabase who have upgraded our website and improved its search-ability. Since this work has been done we have seen growth for every month of this year already. Thank you very much for an excellent personal service. It is a breeze to edit products and prices from the product management tools provided, and price changes can be set to update at a future date, meaning their is less rush to change them in one go. The Stitching Elmers have been using the e-commerce features of Ousia CMS since 2016. They have the ability to change prices and images their selves, saving them valuable time and money by keeping the admin in-house. Ongoing support agreements mean we are on hand whenever they need us. All design work is undertaken by us, but they maintain content in conjucntion with our efforts. Ada Mediterranean Kitchen – Web site for one of the top-rated restaurants on the Isle of Wight, and based in Ryde. We wish we could take extra credit, but their food and service is great! The Stitching Elmers – Haberdashery shop also based in Ryde on the Isle of Wight. They offer some unique items not available elsewhere, and as such needed a web site with an online store. Art2Artz – Therapy through Art. They provided charitable services for people with a range of learning difficulties. Pen-Y-Bryn – Bed and breakfast based in Freshwater. 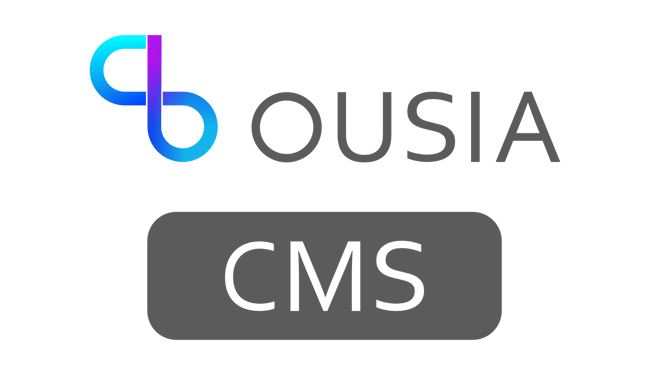 We moved their web site to Ousia CMS (added speed) did some basic Search Engine Optimisation (content/link building) took them from page five to page one for some of the most competitive keywords in the area, with no advertising required. White Trash – Ryde based skateboard company who needed an online app to capture their user data. All of our sites are securely kept on Microsoft Azure servers, meaning we can pass on their 99.9% up time SLA. Four levels of user permissions have been built into Content Management System, allowing you to control what is visible and to who, as well as allowing admin permissions to those you trust. Mervs Mobile Bar service were one of our first clients in 2012, and have continued to use the system as it has been upgraded throughout the life of their site, as well as having a number of designs. I would just like to thank Claytabase for my amazing web site creation, their attention to detail has proven a real success. The ability for me to edit my site myself on a simple interface with my own log on and password is beneficial. I appreciate all the extra effort Claytabase has given for my web site. Very competitive pricing when bought in conjunction with our other services, we can offer a mid level branding design service, and supply additional items including: business cards, mugs, t-shirts and flyers. Claytabase have been great for me. They helped with everything from setting up my web site and email, to creating content and gettting me online. We have undertaken projects for clients including the Isle of Wight NHS Trust. Other projects that involved web design include ARC Europe, Blake Morgan LLP and at OCS Consulting for Unilever. Search Engine friendly – All edited content is optimised where possible, and best practice is actively encouraged through the use of templates. Make it easy to get in touch with the owner – Sounds obvious, but who wants to go through 5 pages for a contact number! These are all built into our Ousia CMS as standard and hosted on our cloud servers. We can do this in other systems, but it can take longer to develop. We've analysed 15 of our local competitors in the Hampshire and Isle of Wight areas for both page speed load times and page speed tools optimisation techniques, and are the only site to always score above 90%, while also loading in under 4 seconds. We also had considerably better scores on all fronts in comparison to the major players.